Crown With Cursive "L" Pottery Mark Query: i have a figurine of grandmother sitting and small boy upside down. women sewing pants on boy with machine while pants on that had a marking of a cursive letter "L" and then a crown looking mark. there is some lettering around the crown but i am unable to see well enough to know what it says. The markings are all in red ink and the figurine appears to be of ceramic or possibly porcelain. it also appears to have only a light sheen and not very glossy but it very detailed. Does anyone have any ideas who made this or what it is? Thanks for taking the trouble to contact the site. Without any photos I can only really give you a run-down of the manufacturers who are known to have used a cursive "L" with a crown on their pottery marks, according to my various books. I have uploaded some photos of genuine Ludswigsburg of Württemberg marks and figural work for your information. This cursive "L" with a crown mark is the original pottery mark of the world renowned Ludswigsburg of Württemberg. There are many fakers and imitators of this mark, in a similar way to the crossed swords of Meissen. 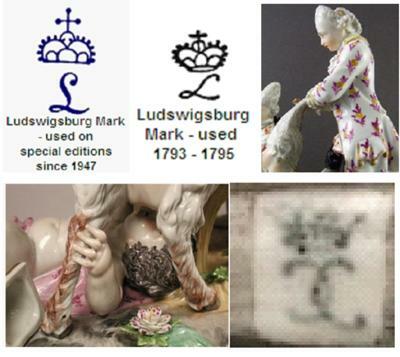 Many first class makers use the crossed swords in their marks as an 'homage' to Meissen (nb: there is a lot more information on this around my site, please use the search box on the top right of every page to find it). Similarly for the marks of Ludswigsburg of Württemberg. The crown and cursive "L" is the territory of German experts - not my area of knowledge particularly, but I will do my best. Unfortunately, this type of valuable European porcelain is rife with copies and fakes - made both within Germany and also the far east. The original factory was Ludswigsburg of Württemberg, Germany. Their porcelain factory was founded in 1758 closed in 1824. They were known for producing 'palace' ware for Duke Charles Eugine von Württemberg and later King Friedrich. Sometimes there is an "F" for Friedrich under the crown mark (1806 - 1816) and most often a double "C". Some of their most sought after wares are their fine figurines. Prior to 1793 was the very highest quality period of figurine manufacture at the Ludswigsburg of Württemberg manufactory. After that period the figurine production was less exacting in quality. According to my records, the cursive "L" under a crown was only used for a short period between 1793 and 1795. The double "C" under crown was more common. then used the "L" with crown pottery mark in the 20th Century, founding in 1904, located in the same area of Wurttemberg as the old Ludwigsburg works. The new factory copied the old 'Ludwigsburg' pottery marks - adding the initials W.P.M. (Wurttemberg Porzellan Manufaktur) and then promptly patented this porcelain trade mark. Schorndorf of Wurttemberg is not to be confused with the official post-war reopening of the old Ludwigsburg factory in 1948. Founded as a public company this new company continues to this present day. It produces tableware as well as art pottery mainly in porcelain. Both the old markings of a crowned double C and the crowned cursive letter "L" are used, but the latter only for special editions. Post 1947, the addition of the name "Ludwigsburg" is added to the mark along with the artists initials. This addition of "Ludwigsburg" would be one of the clues to distinguish the new wares from the old as from 1947 the pottery markings are very clear and specific. Passau of Bavaria, Germany were founded in 1840. This factory is one of the best recorded 'mark-imitators' of the 20th Century. They reproduced copies of the original Ludwigsburg porcelain as well as the Höchst factory (based on the original models). The Passau factory actually had the cheek to register the 'Ludwigsburg' marks. The Lettin factory of Saxony, Germany was founded in 1858. They made tableware and art porcelain. Lettin had no shame in openly copying the famous Ludwigsburg crowned L mark, saying the L stood for 'Lettin'. Adolf Leube of Dresden was founded in 1906 in Dresden, Saxony. Leube's studio was not a manufacturer of porcelain wares, but a white ware decorating plant. The crown on his mark shows a different type of crown from the Ludswigsburg of Württemberg pottery mark, otherwise the marks is very similar, using the cursive "L". 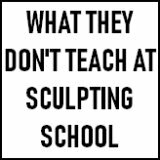 Your figurine group is most likely a more modern item, otherwise you would have something of a museum piece on your hands in which case I would be calling the insurance salesman immediately! Which maker is responsible, I can't say as I have no photos of marks or the piece itself to go by. I have included a collage of photos of original Ludswigsburg of Württemberg wares and mark at the top of the page for general interest. In my view it is most likely you have a non-Ludswigsburg of Württemberg figurine group because the originals would be museum pieces and very valuable, and the new production (post 1947) would be clearly marked. Without seeing the mark it would be impossible to say, but put your research efforts into the other crown "L" makers first. Hope all this info helps rather than baffles! hello there i appreciate all the information on my previous question regarding the numbered ceramic piece of woman sewing boys pants upside down with cursive "L" pottery mark. I have done much investigating online and have yet been able to find the answer to my marking. I too believe this piece is some what newer however I am almost positive it is at least 30 years old as it was given to me about 20 years ago and owned before that when my mother in law picked it up from her friends antique shop. However, I could be wrong on my dating. The cursive letter "L" is actually above the crown and beneath the crown are number 5592 so I know there are copies out there. A woman is selling one similar on EBAY however no markings on hers and the colors and bottoms differ as well. I have pictures I can send if you can provide me with a way to send them to you. Many thanks for sending in your photos. The pottery mark is not one I have ever seen, but seems to take much influence from the old Ludswigsburg of Württemberg pottery mark. The figurine itself look nothing like a Ludswigburg figural group look but is very much in the characature style of the 20th Century Capodimonte imitation piece. Why would a modern maker copy a famous antique mark and place it on something which is a 20th century item - unless it was for purpose of marketing trickery? The piece looks like the work of mass-produced importers/distributors to my eye - it could conceivably be by one of the 20th Century reproduction German makers mentioned in my original reply, but the only way to tell would be to have it appraised by experts. vintage and antique china values page. Valuation appraisals and pottery mark identification research are two different things. More tricky Pottery mark identifications are handled here:- my vintage and antique pottery mark identification page. No money upfront ? answers are vetted for quality by me. Here you can contact a bona fide professional appraiser (one I've checked out myself) who can tell you if your mark is identifiable by experts without you having to pay any money upfront. 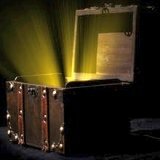 This service is unique online and is designed to protect my site visitors from wasting their time and money online. Hope this helps. Keep us updated! Hello, while doing research on a bits and bobs I have found I came across this page. Here are some links to my piece...I can't even figure out what this piece was used for. Thanks in advance for any direction you could provide. From your description I think I have a piece with identical marking, would you like to exchange pictures, the figurine I bought is two old people sitting on a bench playing cards, It is fairly detailed work. Looks very old but dont have a clue. Is it a lefton? From 48-53 (?) that was their mark. Is this an imitation?- My husband and I received this hand painted (?) covered dish and saucer from his parents. We are fairly certain his parents did not purchase this lovely little thing. His folks were very frugal and not ones much for bric-a-brac. As his mother was an orphan, we assume it was his paternal grandmothers'. His father grew up in Maryland, so that may be where the dish was originally bought. This company is likely Japanese importers Arnart, based in New York. Another similar company company is called Homco - possibly connected. 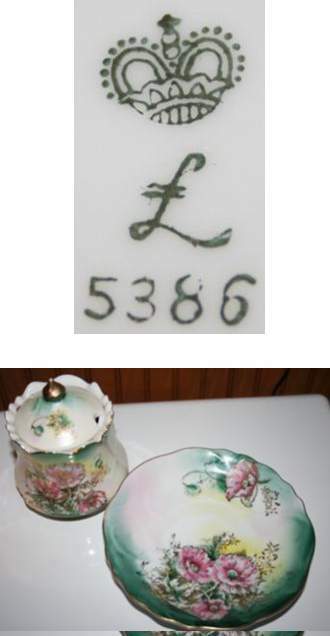 Do the genuine Luswigsburg wares have printed numbers under the porcelain mark crown & L? I know Anart do - and in exactly the same font and size. Some say this is Lefton's mark. Either way this is likely Far East and from the 1950's at the earliest. Just use the in-house search engine located in the homepage and other main pages to check out the various articles on Arnart and Lefton. The marking that I have on the back of some dishes that I have is remarkably similar except the number is 5519. I had a hard time finding similar markings anywhere on the web with the exception of the one posted here. 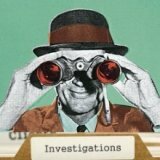 I was finally able to find something on replacements.com that points to Lefton although I am not 100% convinced. The "L" has two small horizontal lines through it, thus making it look like the British pound sterling sign. Sometimes it's printed/written with one line through it, sometimes two. I have a small leaf shaped dish decorated with roses and gold edging with the same marking with the number 5517 i.e., crown, pound sign beneath, and 5517 beneath that. The cursive L with the 2 small lines through it and the crown above is by Lefton. It is imported from Japan. My family has a Belgian rifle that my Pap obtained through a German prisoner he had taken during the 2nd world war. A crown over a curcive L is printed on the receiver end of the rifle. I wonder if there is an association. I cant find a source any where else that can help me understand this Belgian proof mark. I downloaded a PDF of Belgian proof marks and was able to find some info.